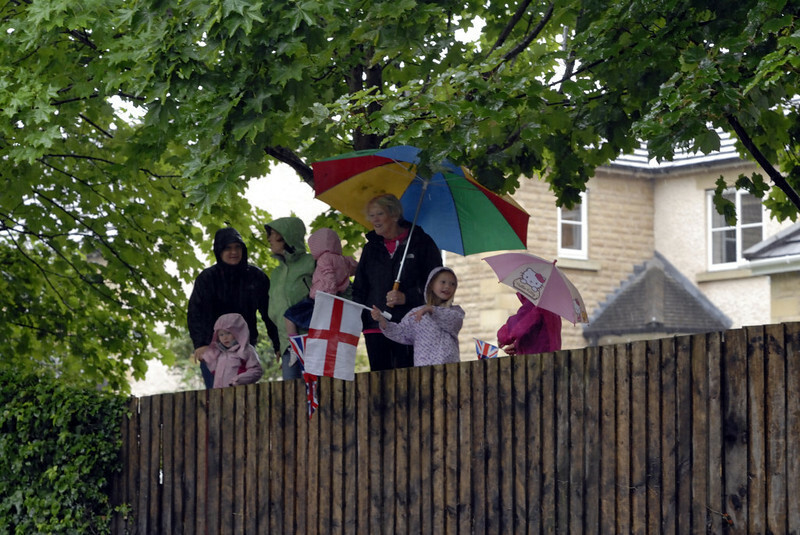 Seven photos of the Olympic torch being carried past rainswept Bolton-le-Sands in north Lancashire. Olympic torch relay, Bolton-le-Sands, north Lancashire, Fri 22 June 2012 1. The weather was awful, but did not dampen enthusiasm.